With Dale of Merchants Collection, the number of decks in the series continues to increase. Included in the game are 6+ completely new animalfolk decks. Joining the ranks are several peculiar fellows such as the Wealthy Tuataras and the Connected Emperor Penguins. All decks and content are fully compatible and can be mixed and matched between all games in the Dale of Merchants series. A completely new feature in the series are the character cards. These cards are received at the start of the game and provide players with unique and powerful abilities that drastically influence the game. Dale of Merchants Collection includes dozens of different character cards adding even more depth and variance to gameplay. 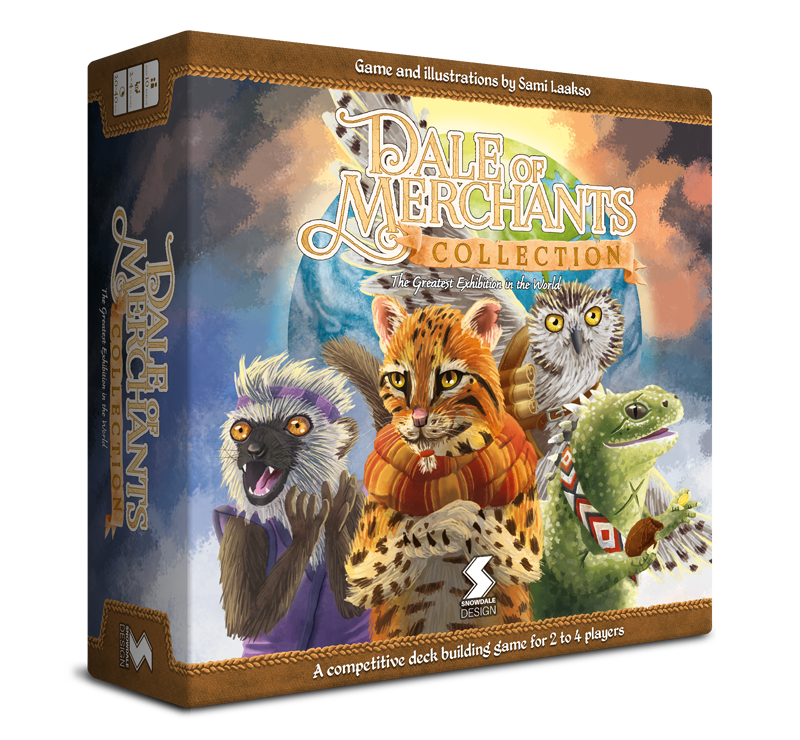 Dale of Merchants Collection aims to ease the storage and organisation of Dale of Merchants content from the different games. The game box is able to house all of the available Dale of Merchants content and includes dividers for each animalfolk deck, making game setup and deck selection a breeze. Furthermore, an animalfolk dossier is included, which contains descriptions of all the available decks in the series. If the quantity of options makes choosing decks for a game difficult, deck selection cards are available to help with making the decision. Snowdale Design collected funds to bring Dale of Merchants to life with Kickstarter in September of 2018. The game will be released in spring of 2019.